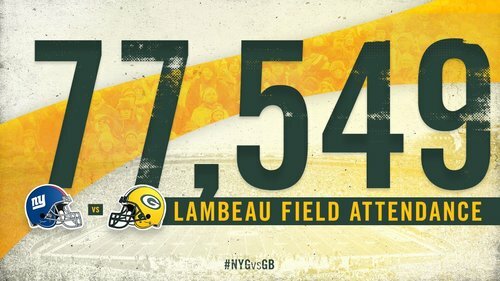 Today's @LambeauField attendance. Thank you, #Packers fans! Things are going to get ugly in New York for Odell Beckham Jr. this week. Oof. Ed Hochuli just called a block in the back on #Packers CB Sam Shields. We're off the rails. #Packers RB Ty Montgomery lined up as a slot receiver on that play. Looked like a receiver too. Montgomery looks like he coughed it up and it looks like it's Montgomery is injured. #Packers take 24-13 lead into 4th. It is not a fumble, but Montgomery twisted his right knee. #Packers RB Ty Montgomery injured on the last play. He's limping heavily as he walks off the field. Looks like his right leg. This doesn't look good for Montgomery, He needs help coming to the sideline. Can't put weight down on his right leg. #Packers RB Ty Montgomery down on the field after the play, needs help walking off very gingerly. Injuries keep mounting. #Packers were outgained, 194-7, on their first four possessions. And it matters not. Wow. 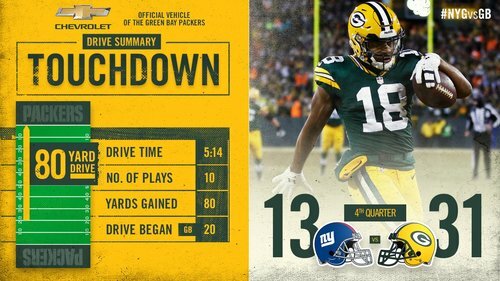 Randall Cobb is having a hell of a game. That's five catches for 116 yards and three touchdowns. He and Adams have been tremendous. #Packers QB Aaron Rodgers now 22-37 for 330 yards, 4 TDs, 0 INTs and a 124.8 rating. 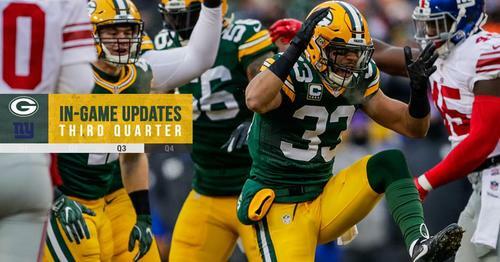 Rodgers is 22 of 37 for 330 yards and 4 touchdowns, 124.8 rating. 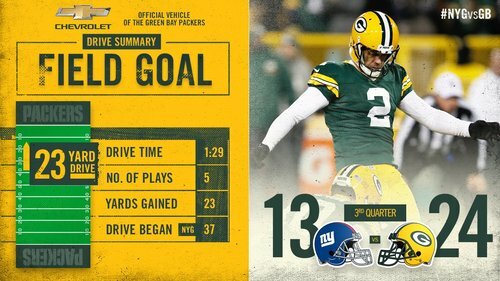 Second 4-TD post-season game for Rodgers, most in franchise history. 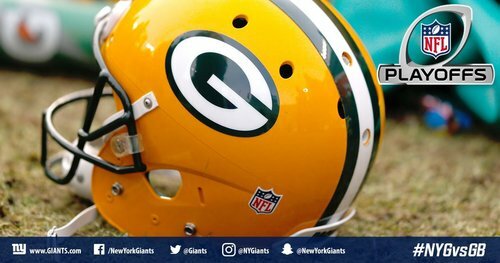 Cobb and Adams have combined for 12 catches for 223 yards and 4 touchdowns. 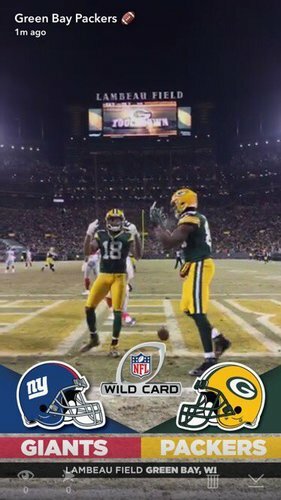 Head to Snapchat for a GREAT look at @rcobb18 's third TD catch! Randall Cobb has 5 catches, 116 yards and 3 TDs today. Odell Beckham Jr. still sitting on 9 catches, 84 yards, TD vs. #Packers this season. The latest #Packers scoring drive, capped off by @rcobb18 's THIRD touchdown!